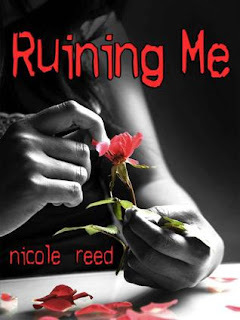 The Cover Contessa: Please Welcome Author Nicole Reed! 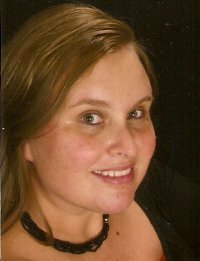 Please Welcome Author Nicole Reed! Today I am excited to welcome author Nicole Reed to The Cover Contessa. Along with Never Too Old for YA Books, we have asked Nicole some pretty interesting questions. Two years ago she had the world in the palm of her hand and in one moment it was all ruined for her. Secrets, lies and the worst imaginable betrayal will haunt her for the next two years, until all of it catches up to her and she will lose the control of the lonely world she has built around herself. Three guys from her past and present will be there when it all comes crashing down. JT the perfect boyfriend she never wanted to give up, Rhye the local bad boy “rock star” that made her forget the past and Kane the funny and sweet tattooed bartender that wants her future. Is it possible to change the path she chose for herself and still keep all of her secrets? Nicole Reed can be found at or watching a football game for most of the year. The rest of the year you can find me hauling kids all over the great state of Georgia for baseball or gymnastics practice. When I get a second for myself, you will find me hidden somewhere in my house (I’m not giving my hidey hole away) with my ear buds in, a kindle in my hand with my laptop and phone sprawled on my lap. I’m a multi-tasker YO. I’m a serious music junky and listen to anything and everything. The moment I sat down to write, Ruining Me. No honestly, I always told people that I was a reader, not a writer. I never penned stories as a child, because I was the one walking around with my nose in a book. I even received a day of “in-school” suspension for excessive reading in high school. Ruining Me took a total of eight months, but only because I wrote just for me. I never in a million years thought I would self-publish it. It was on my flash drive for four months before I even touched it. For me personally, do the characters “touch” me? Did the author pour enough emotion into each page to make me feel something? Is the story relatable? I think that is why the YA genre encompasses so many other age groups. We all remember and can relate. This is a learning process. My family will always come first, but thank goodness, I have an awesome support base that encourages my writing. I draw from real life itself. In my opinion, write what you know or do your research. Drawing from your own life experiences can bring real emotion to the pages of a book. That my life is just beginning and I can do anything that my heart desires. Dreams can be made reality, even if you didn’t know it was your dream. I think that life sometimes shapes are destiny instead of YOU shaping YOUR destiny. It is NEVER TO LATE to do what you want. Which is your favorite? Only Ruining Me for now. That is a really great, but tough question for me. The book is a complete work of fiction, however, each and every character was inspired by real life itself. The characters developed their own "soul" while writing. Now, I find their individual stories inspiring me and I can't wait to see where it all leads in the sequel. How hard is to get published? So far, it is super hard. In fact, I would take any advice I can get. Everyone is very supportive, but totally surprised. While writing, I told no one what I was doing. I love to read and my other passion is football. I love to watch it. If so, what are they? I am learning myself, so my only advice is to write. Write when you can and don’t over analyze what you’re writing at the time. Keep on typing and let the story take you where it needs to go. I wanted to be a singer. True story, in college I was a wedding singer. My favorite books are the Anita Blake Series by Laurell K Hamilton, The Mayfair Witches Series by Anne Rice, and The Summer of Two Wishes by Julia London. These authors have always inspired me, but I have to add Jamie Maguire, Abbi Glines, and Kristen Ashley as the new “trailblazers”. I have no clue. From what I hear and have experienced, most are self-published now. I have the sequel coming up and then I have another mature young adult novel coming out Spring of 2013. Thanks so much for stopping by The Cover Contessa today, Nicole. It's been great having you and getting to know you better!